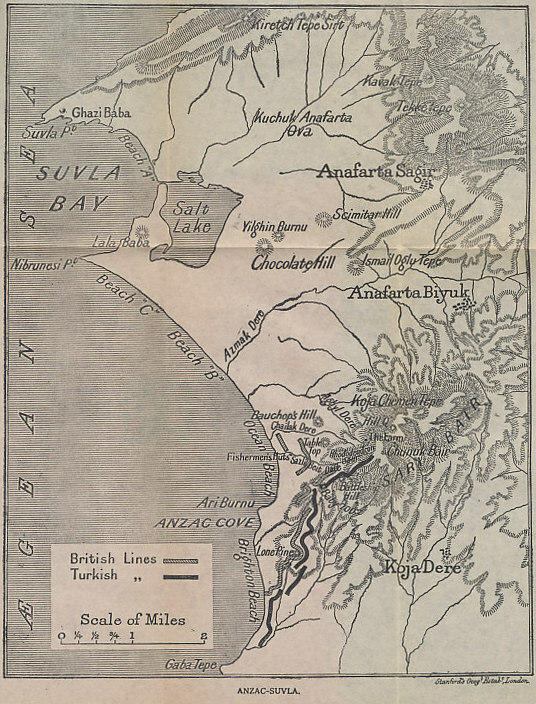 Map of the Gallipoli Peninsula from Suvla Bay to Anzac Cove from 'Gallipoli' by John Masefield. 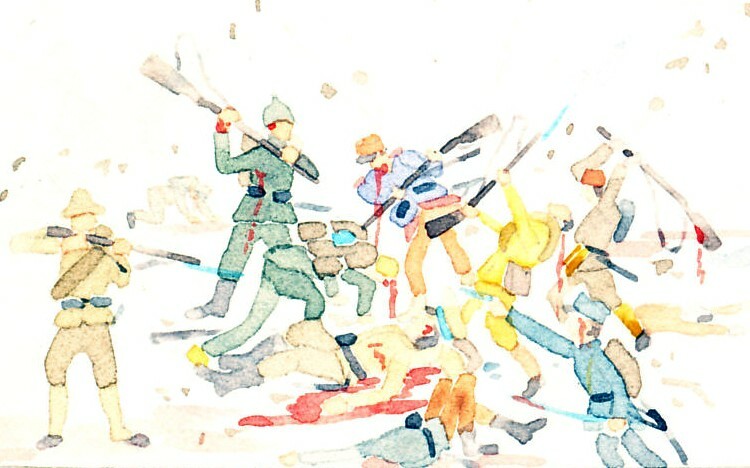 In landing at Suvla Bay on August 6, 1915, the Allies hoped to open a new sector on Gallipoli that, with a simultaneous advance from Anzac Cove, would break the stalemate that had held since the April 25 invasion. The plan failed. Locations shown include Suvla Bay, the Salt Lake, dry in summer, Ari Burnu or Anzac Cove, named for the Australia and New Zealand Army Corps that held it, Chunuk Bair, where the New Zealanders suffered devastating casualties, and Battleship Hill, deadly to the Australians.